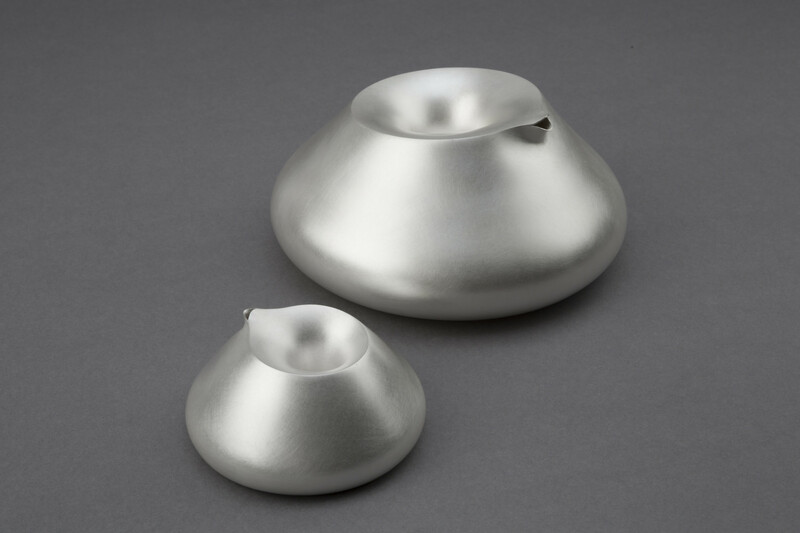 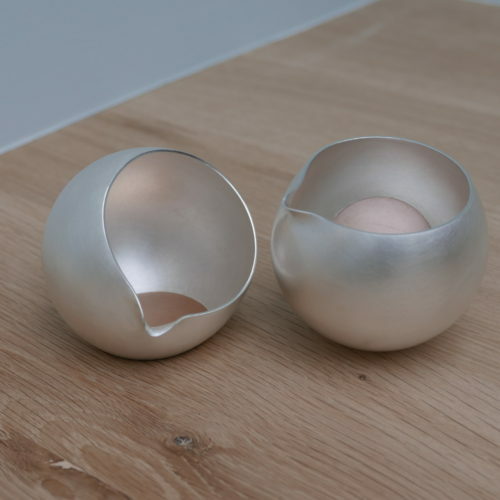 Adi Toch graduated from The Cass, London in 2009 with masters in Art, Design & Visual Culture, following her BA with First Class Honours from Bezalel Art Academy in Jerusalem, Metalwork department. 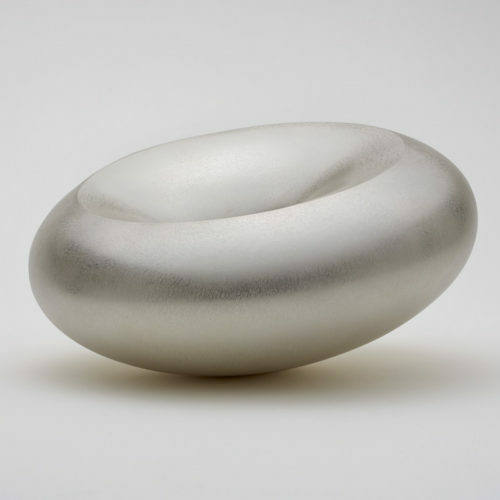 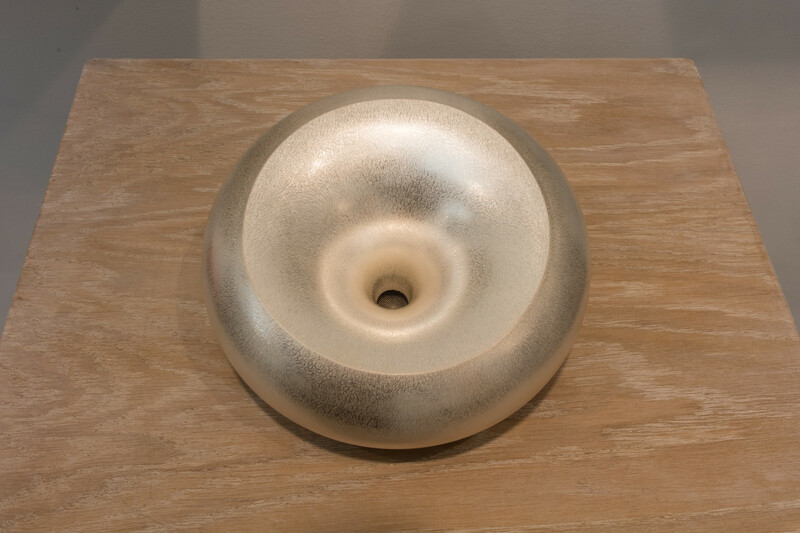 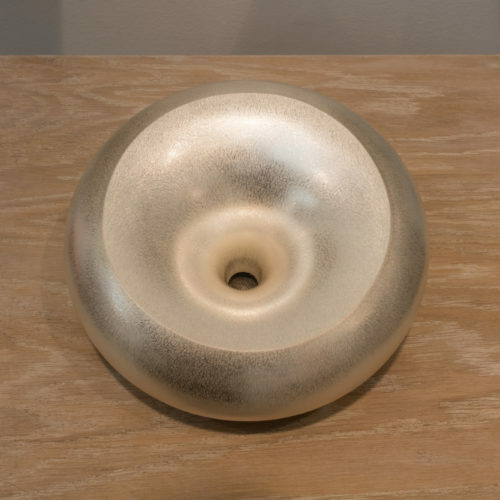 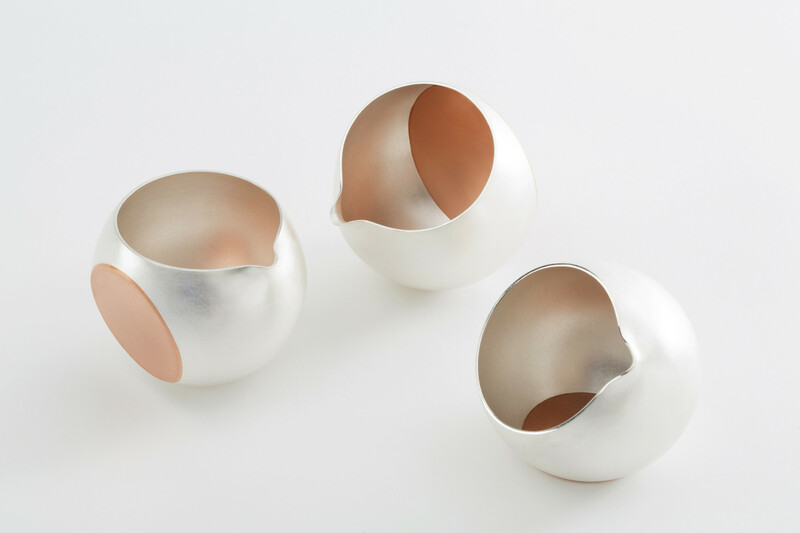 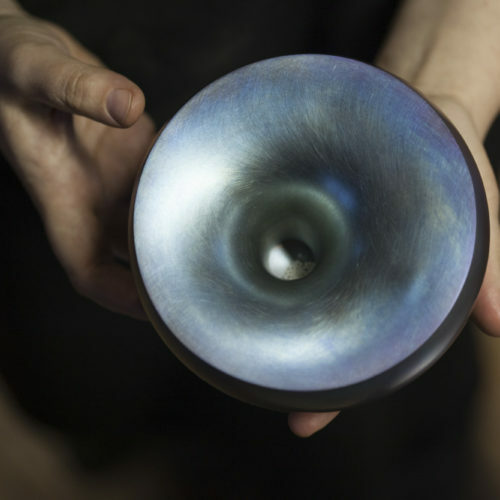 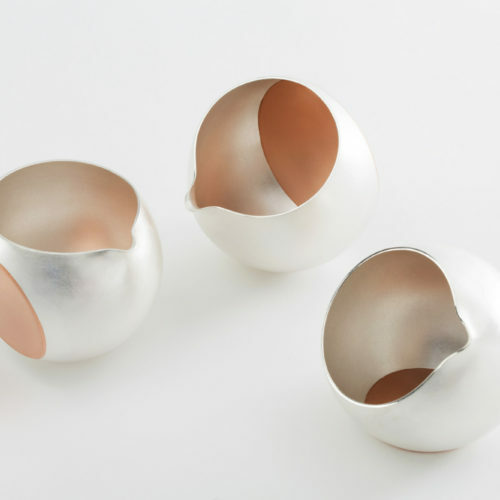 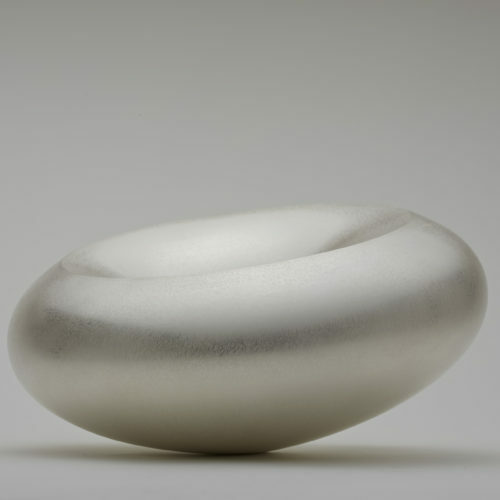 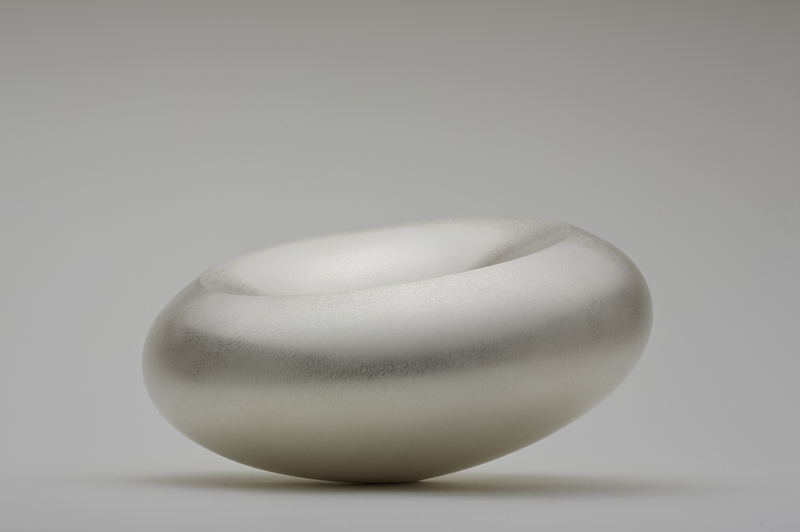 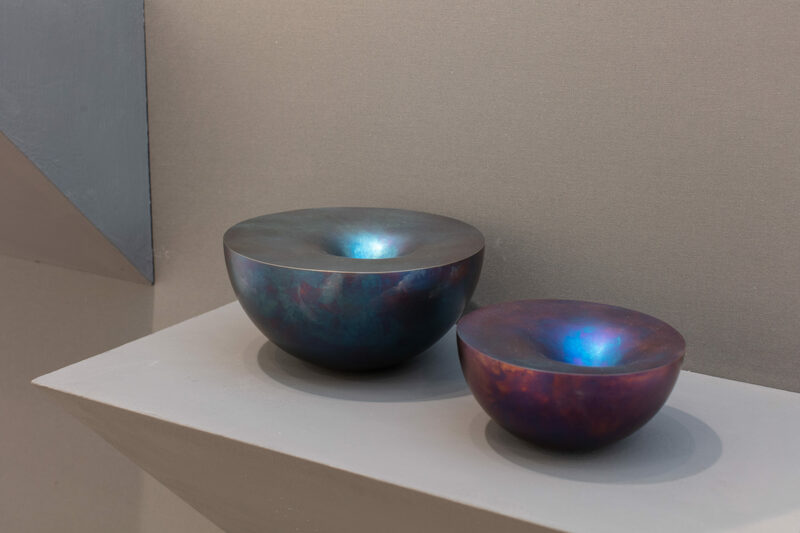 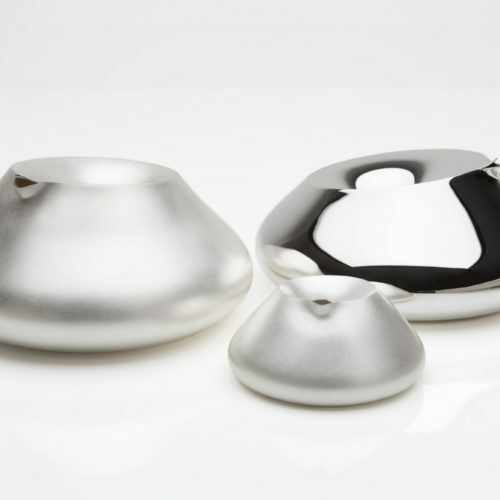 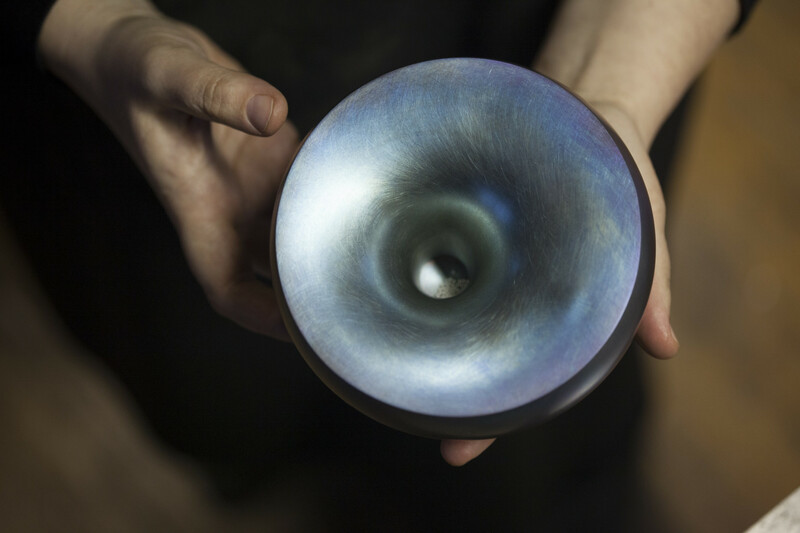 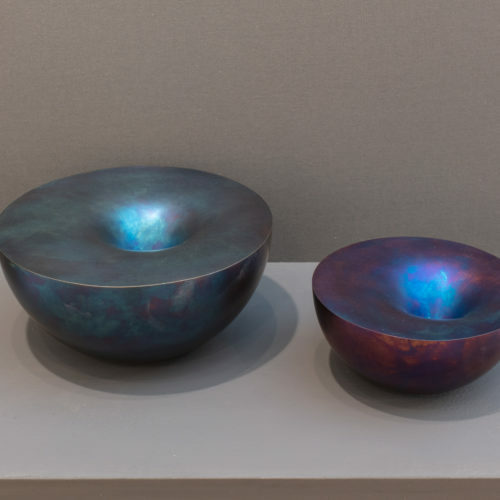 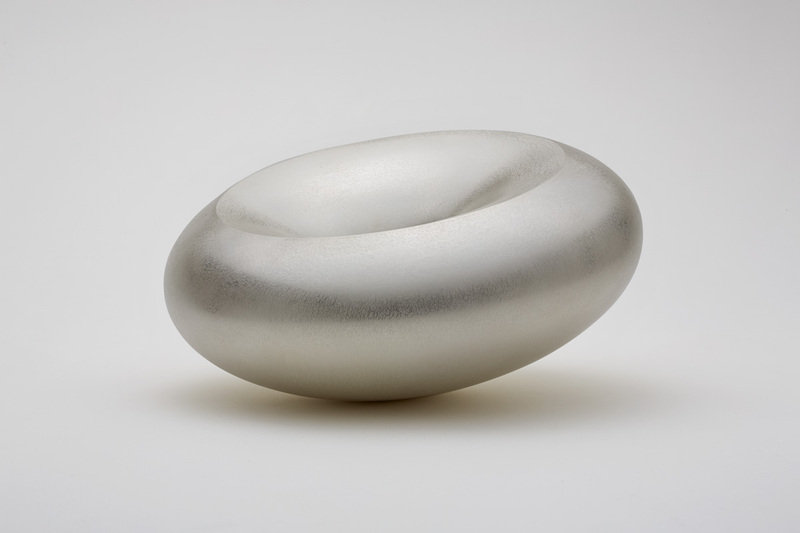 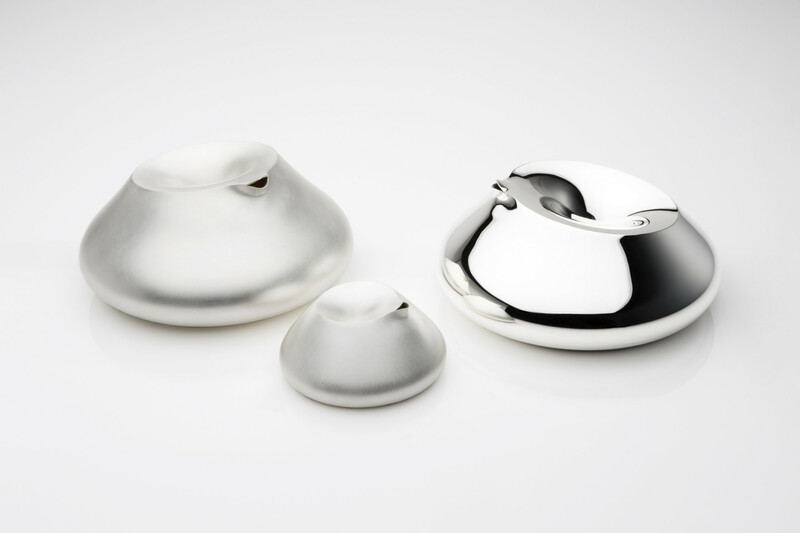 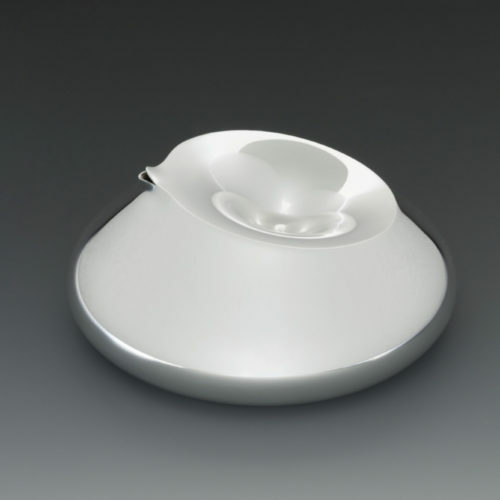 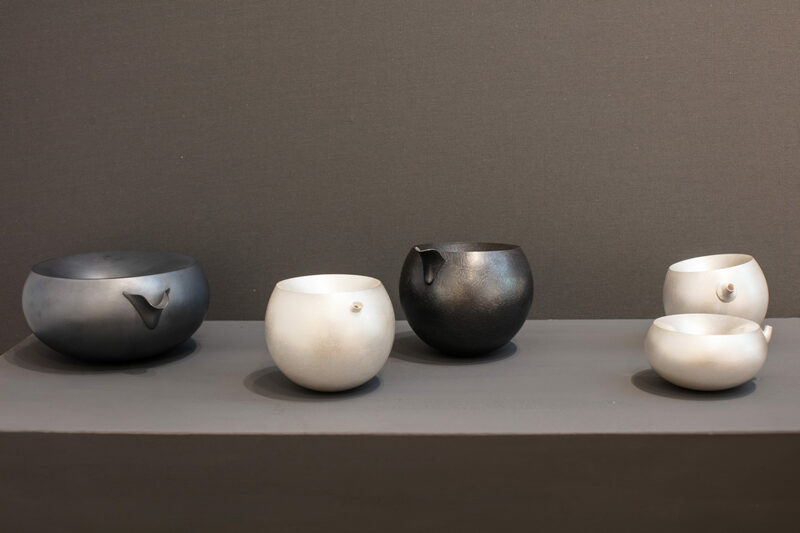 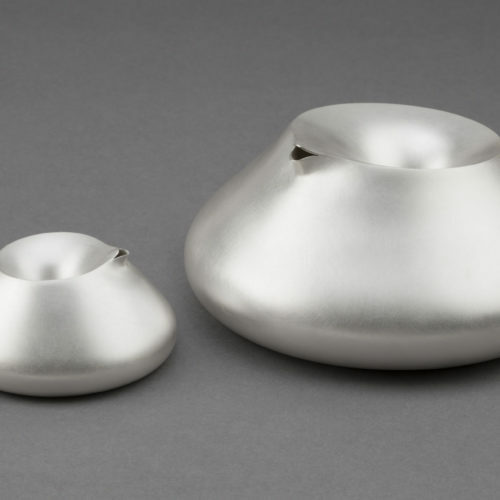 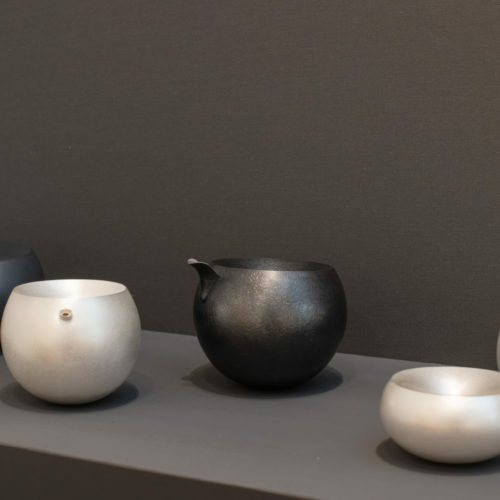 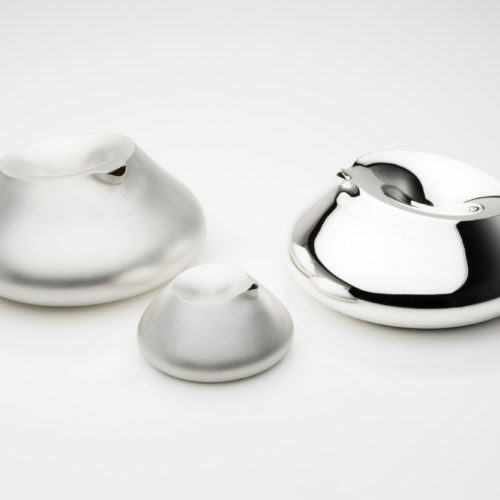 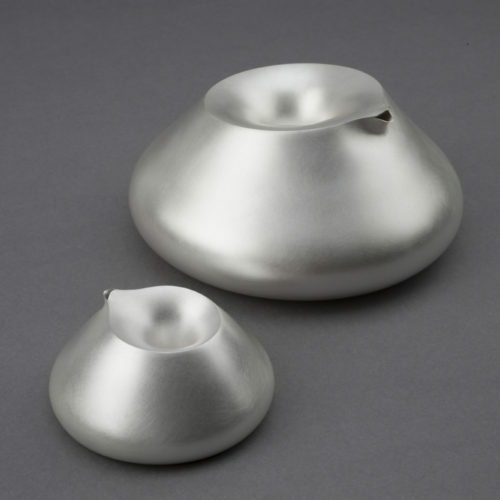 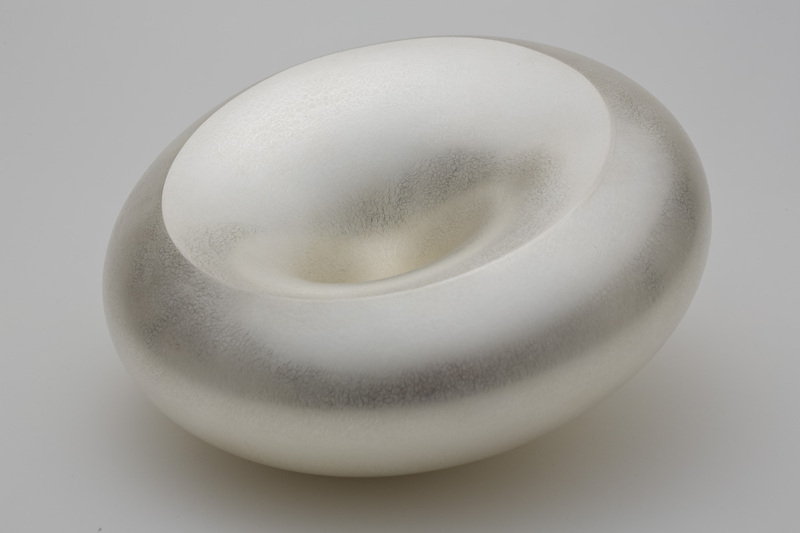 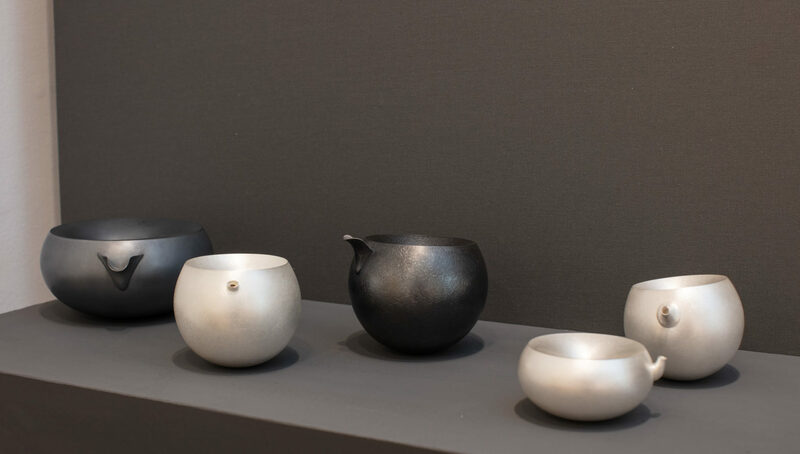 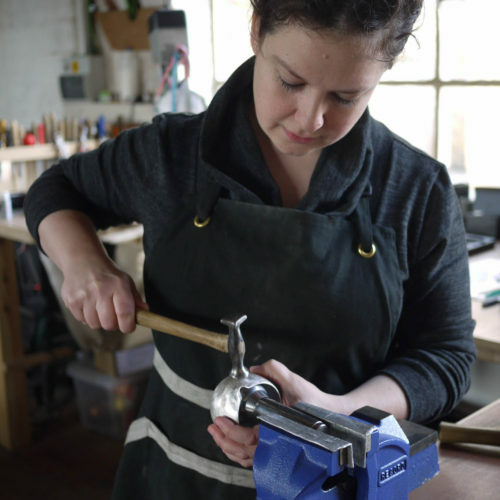 Her work is exhibited internationally and has won prestigious awards including a Gold Award from The Goldsmiths’ Craft and Design Council UK in 2013. 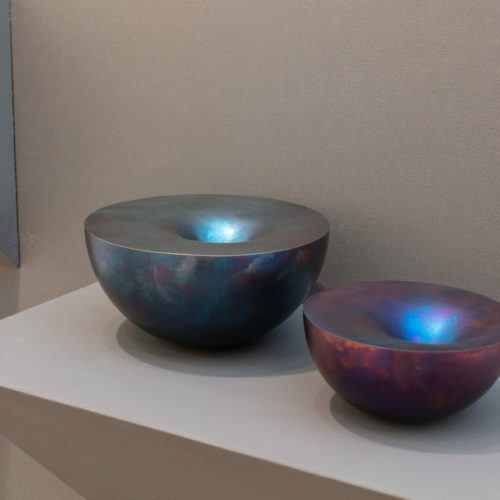 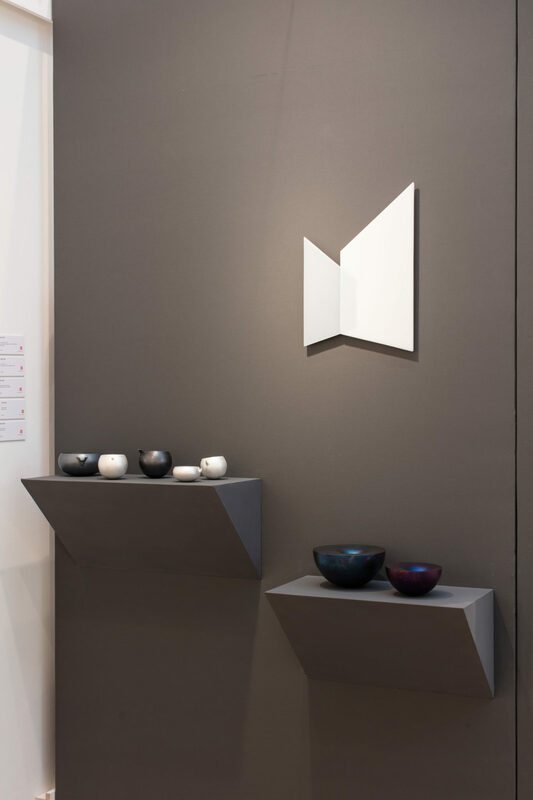 She was shortlisted for The Loewe Craft Prize and won a 2017 Wallpaper* Design Award. 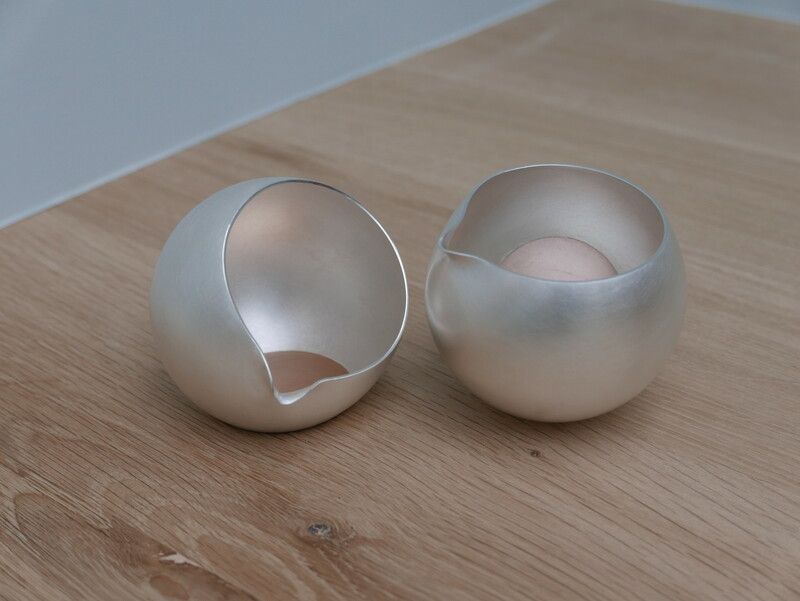 In 2018 she won the European Prize for Applied Arts, Mons, Belgium. 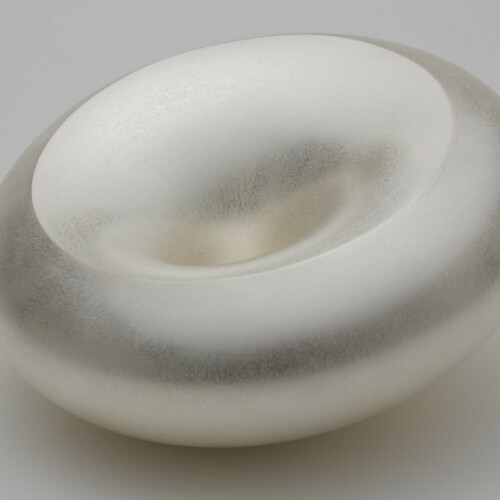 Public collections include The Victoria and Albert Museum, The Crafts Council UK, The Goldsmiths’ Company, Fitzwilliam Museum Cambridge, National Museums Scotland, National Museum of Wales and The Jewish Museum New York. 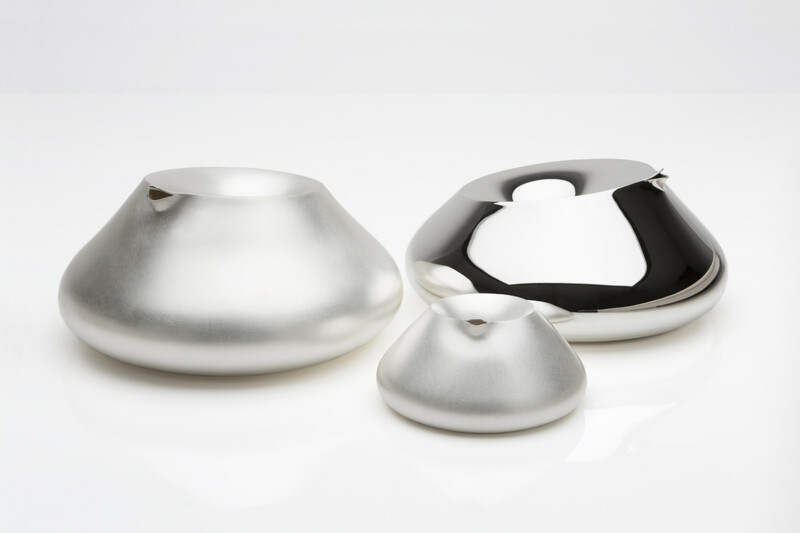 Adi is currently a lecturer at The Cass in London and a visiting lecturer at Bezalel Art Academy in Jerusalem. 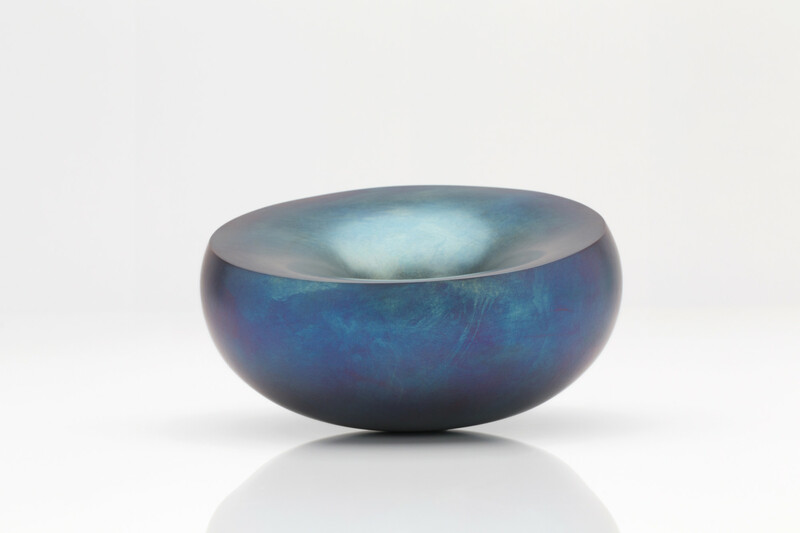 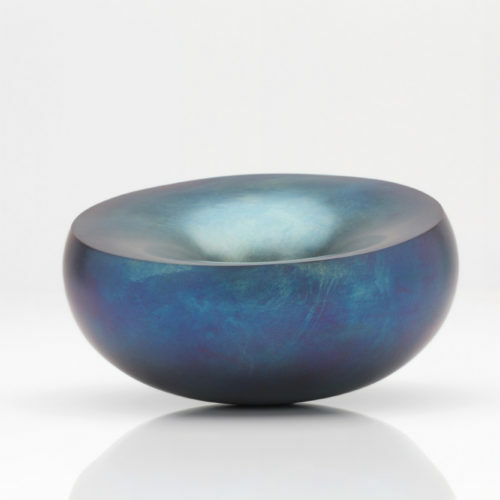 Adi Toch explores the visual language of metal through colour, movement, sound and tactility. 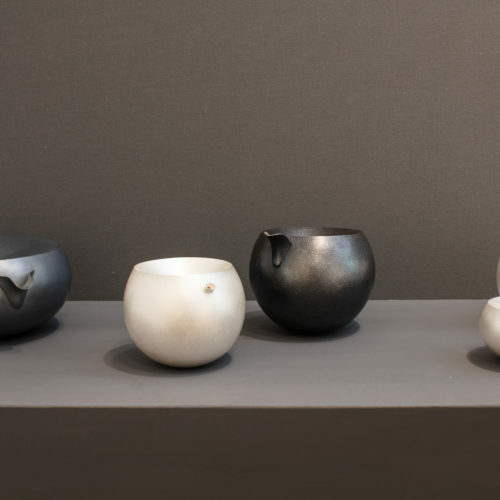 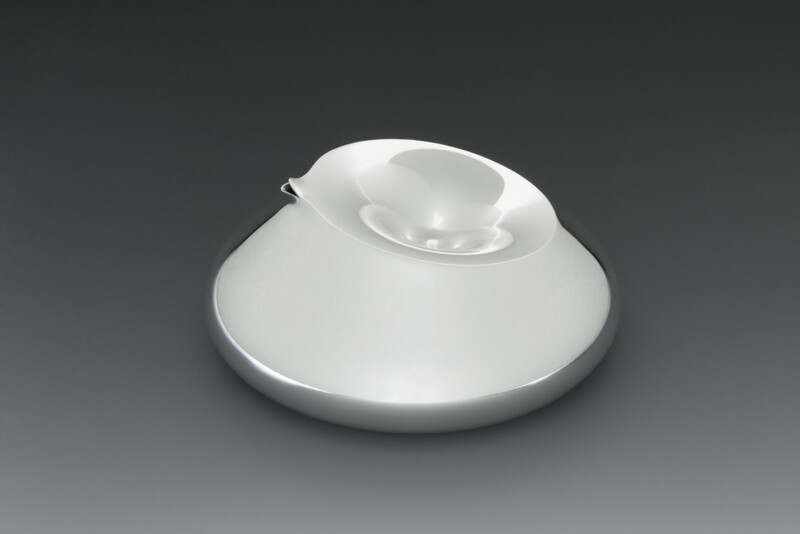 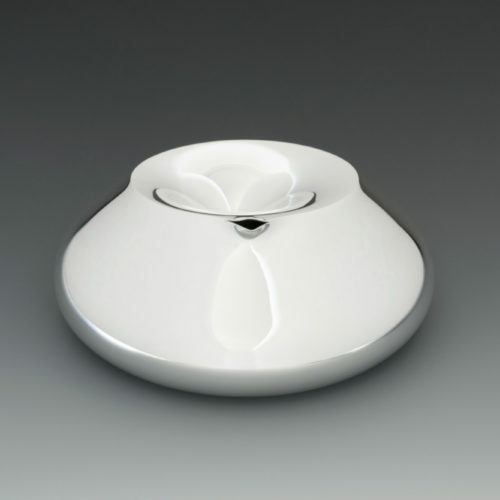 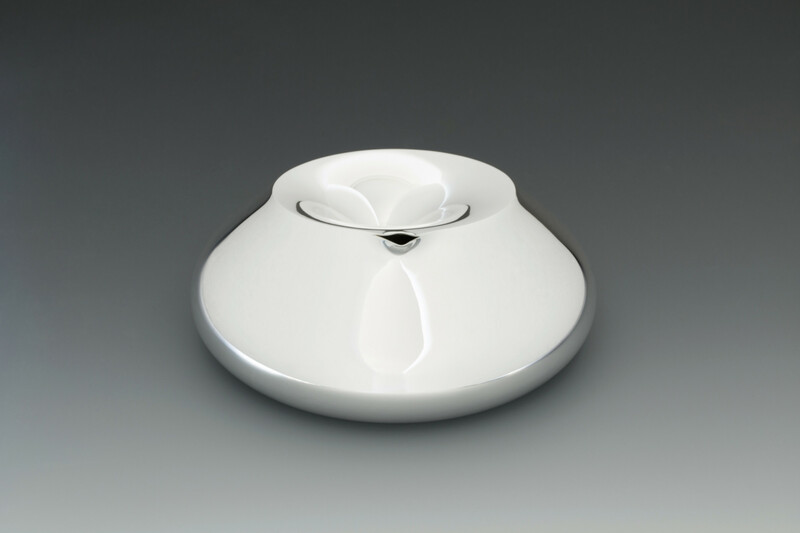 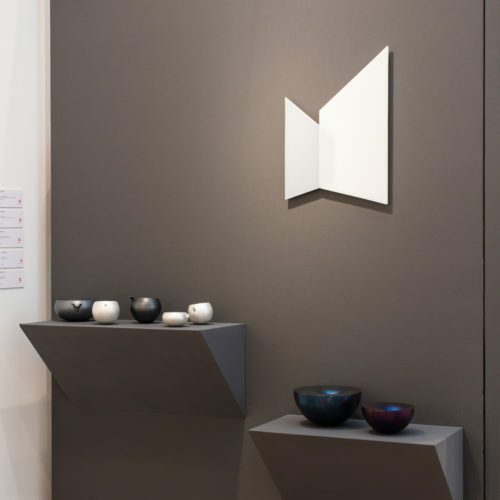 She makes engaging objects that investigate the embodiment of vessels and containers. 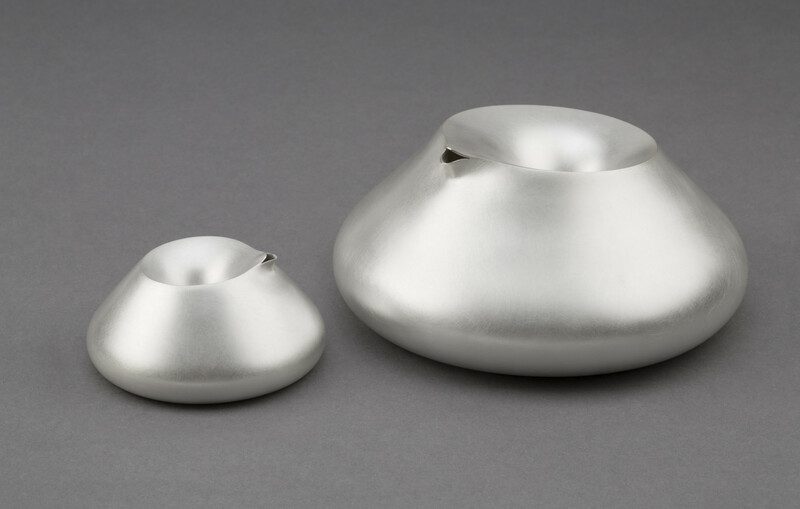 Beginning with a flat sheet, Toch forms and fabricates the metal into hollow forms. 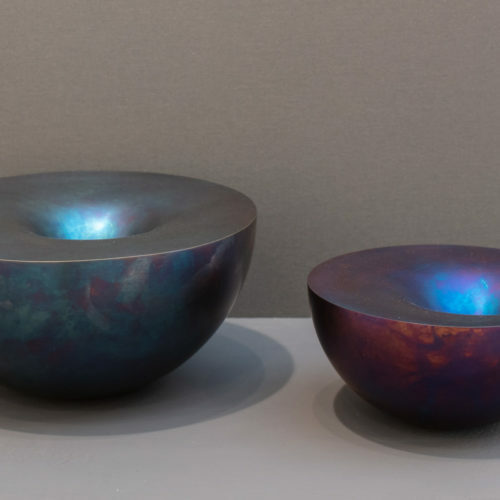 She creates unique surfaces through texturing, colouring and patination. 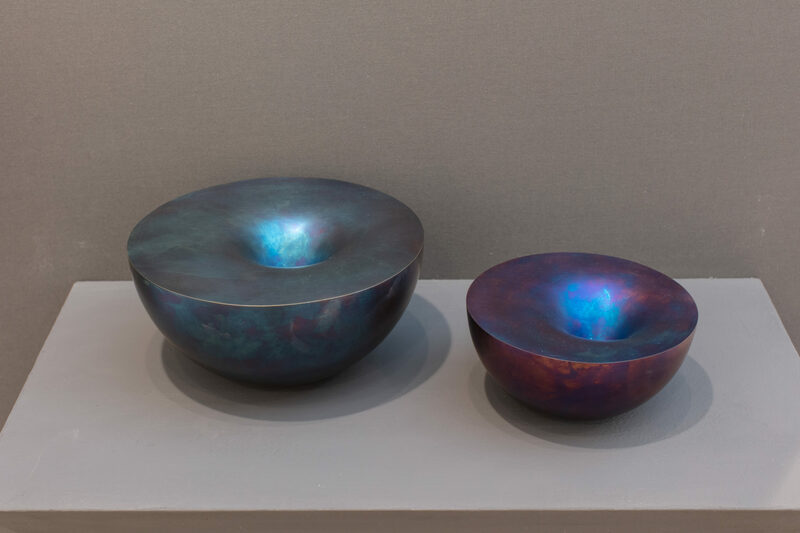 Melding Pourers balance on the curved base or seemingly sink into the surface against their faceted cheek – each facet is composed of copper and red gold bimetal, two separate metals joined together. 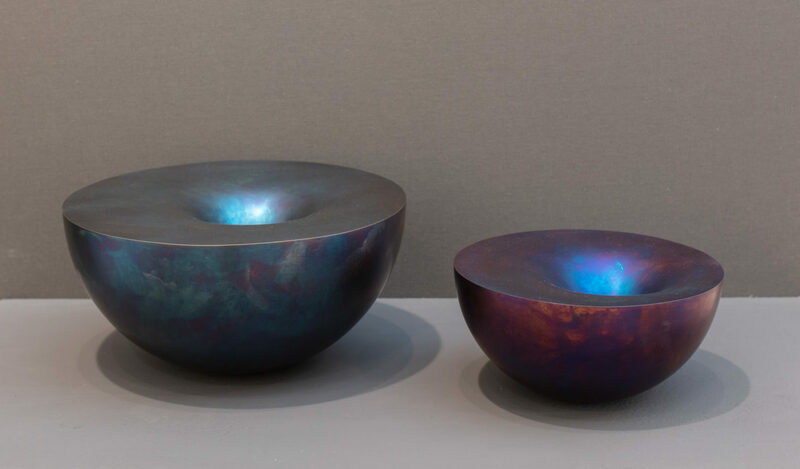 The pourers would change appearance over time – while the interior red gold would stay bright, the exterior copper gradually develop a deep coloured patina, revealing the two different materials.